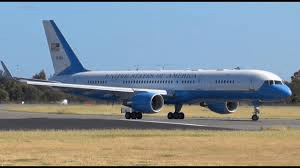 Trump cancel’s military travel for House Speaker Pelosi to Afghanistan…. Speaker of House Nancy Pelosi is the next person in line to assume the US Presidency should Donald Trump and Mike Pence not be able to assume the office…. She has protective detail wherever she goes on the planet…. Going to Afghanistan and traveling around their would carry a security risk…. Donald Trump’s order that the Speaker NOT be afforded those assets seems to be spiteful and babyish ….. It will only serve to embolden Democrats to resist Trump’s efforts to lift the government shutdown with money for a border wall…. President Donald Trump hit back at House Speaker Nancy Pelosi on Thursday, canceling a planned congressional trip to Afghanistan just moments before Democrats were slated to depart. The remarkable counter-punch came in the form of a terse letter to Pelosi blasted out to reporters and promoted by White House press secretary Sarah Huckabee Sanders on Twitter. It marked the president’s first public response to Pelosi’s Wednesday morning request to postpone the annual State of the Union address at the end of the month, citing security concerns stemming from the lengthy shutdown. In his letter, the president called on Pelosi to remain in Washington during the shutdown, adding that lawmakers are welcome to make the trips abroad on commercial flights. Republican Senator Lindsey Graham traveled to Turkey via a commercial airline during the government shutdown as lawmakers in Washington debated Turkey’s role in the ongoing war in Syria. Graham met with Turkish President Recep Tayyip Erdoğan on Friday, reportedly to discuss the war in Syria and the proposal to create a “safe zone” in northeastern Syria….